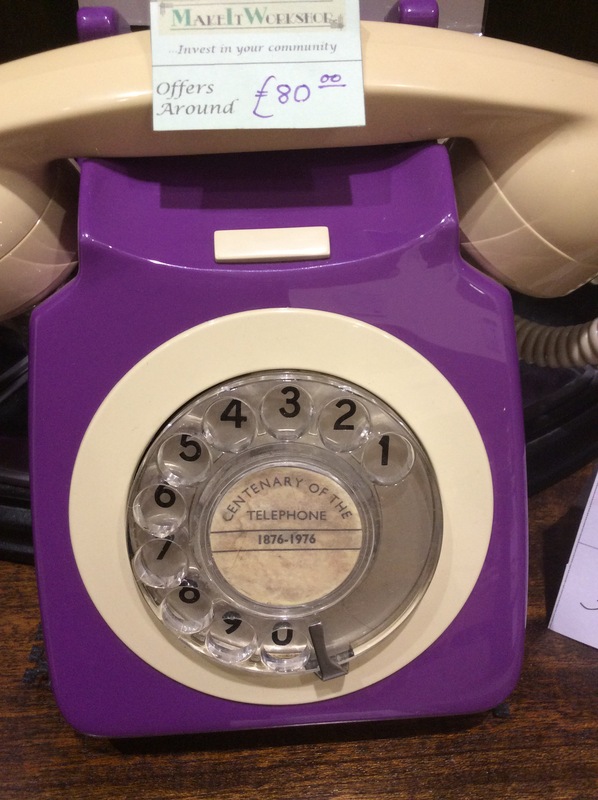 A beautiful vibrant dual tone rotary dial phone. This particular telephone dates back to 1969. There is however, something utterly unique about it: All of the internal parts are dated to this year. But, the main body of the phone is new and in a colour never produced by the GPO. Nevertheless it is all ‘original’. The cases in these vibrant ‘new’colours were made in Wales using the exact same moulds used by the GPO. The equipment used to make these, and the cases themselves were purchased by and from a good friend of ours directly from the Post Office when this design of phone ceased to be in the early 1980’s, when people began to buy their phones rather than rent them, and when tone dialling and push-button phones were first introduced to the British Telephone Network. A unique point is the Dial Badge Marking which shows. CENTENARY OF THE TELEPHONE. 1876-1976. In 1876, Scottish emigrant Alexander Graham Bell was the first to be granted a United States patent for a device that produced clearly intelligible replication of the human voice. Ready to be plugged into your telephone line to use straight away and is available at £80. As always we are open to any reasonable offers. 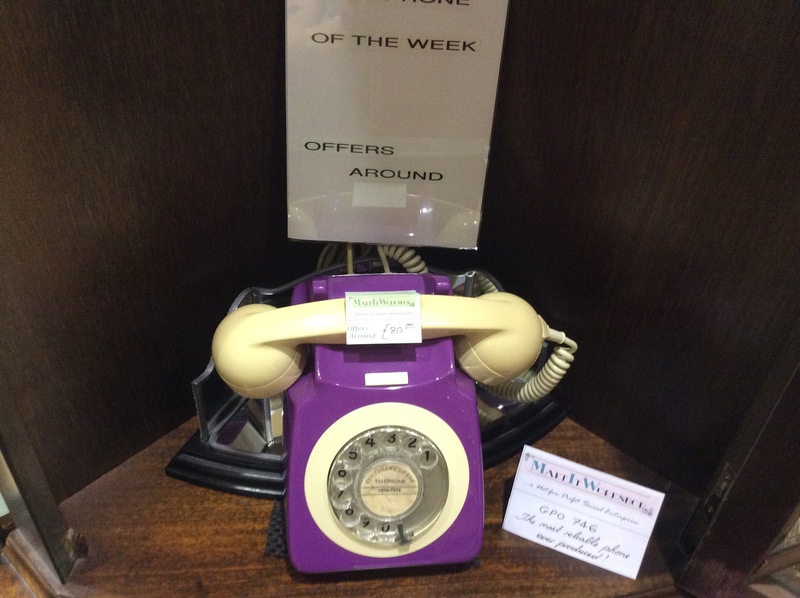 This and so many more vintage and retro telephones are on display at MakeItWorkShop. Please call in and see for yourself what treasures we have. We are based at Cambridge Walks, Cambridge Arcade, Eastbank Street, Southport, PR8 1EN.